The house is for two families in the Sharon region. The singular composition, which includes four walls, and is made up of different spaces, is closed and dramatic. The house makes use of sealed walls to create a place to live in a dense neighborhood. The spatial organization is central, where the patio is at the center. The patio is the day to day microcosmos and sometimes the microcosmos of the imagination. 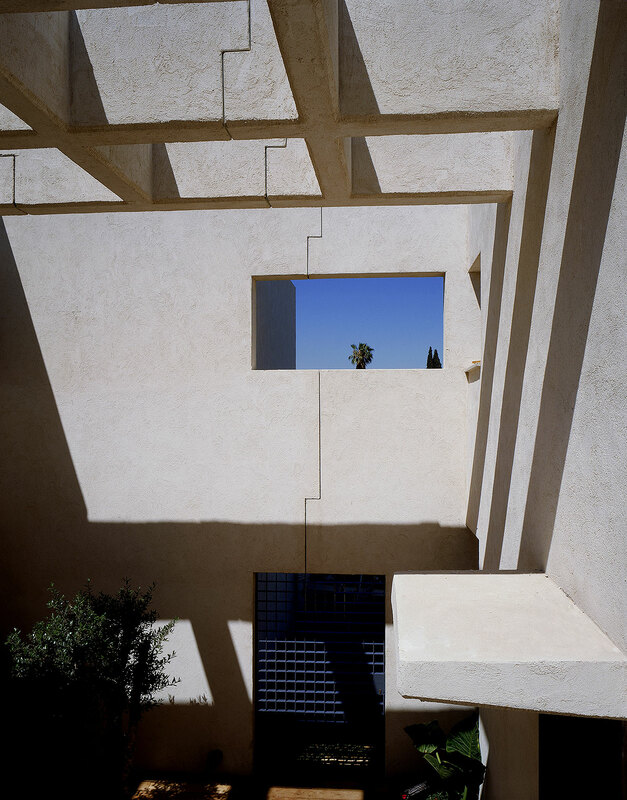 The entrance to each of the houses, and each of the floors, is done via the patio. This space penetrates some of the exterior into the structure and provides a meeting place. The house is completely sealed from the street, and there is no way of detecting it's inner life from outside. The opening in the façade which is facing the street and serves as the main entrance is the only sign of life. In the northern and southern facades, glass doors enable vision to the maximum distance.